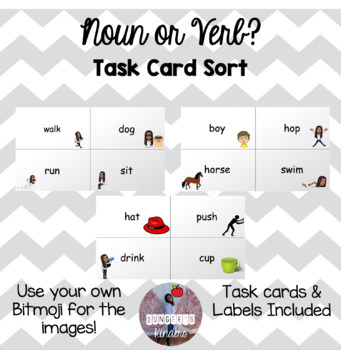 Perfect way to help students learn the differentiate between nouns and verbs! 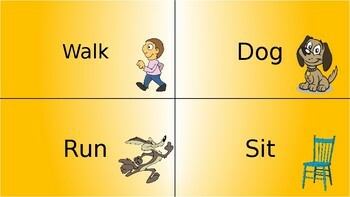 Great for use when teaching Verbs in first grade. Editable task cards that will fit into any classroom. Make a center game out of this activity after it is used to teach! Simply use two paper bags and have the students sort "noun" or "verb". Labels for paper bag included.